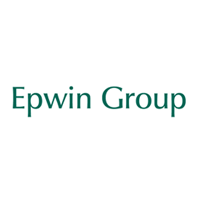 Epwin Group Plc (LON:EPWN) has reported revenue of £281.1m (FY17: £292.8m), underlying operating profit of £18.7m (FY17: £24.2m) and adj. PBT of £17.2m (FY17: £23.0m), in line with revised ZC forecasts (18th December). However, headline numbers include the one-off impact of the loss of its two largest customers in H217, one through administration and the other through acquisition, which accounted for c. £27.0m of revenue. Excluding this impact, underlying revenue was positive in Distribution (c.+5%), Extrusion and Moulding (c.+6%) and flat in Fabrication. The impact from lower volume and severe cost pressures has been felt in profitability, adj operating profit margin has declined 200bps to 6.7% since FY16. However, price increases are beginning to gain traction at a time when cost pressures have stabilised, and with further operational improvements to come, margins could see an expansion not currently factored into forecasts. The current valuation of 7.0x PER, 4.6x EV/EBITDA and yield of 7.2%, on FY19 forecasts, reflects the difficulties over the last 18 to 24 months and not the improving outlook.  FY18 results: Headline Revenue of £281.1m (FY17: £292.8m) is down 4.0% yoy. However, this includes a c. £27.0m impact from the loss of two customers and the closure of the Cardiff fabrication plant. On a like for like basis, excluding the net c. £10.0m contribution from the Amicus acquisition, revenue would have increased c. £12.0m or 4.5%. Window System volumes have been particularly strong on the back of the improved Profile 22 Optima product as it continues to take market share. Operating margin remained under pressure declining 160bps to 6.7% due to the impact of the lost customers and an additional £3.4m material cost headwind.  Operationally forecasts unchanged: ZC FY19 revenue and operating profit estimates remain unchanged at £295.0m and £20.1m, FY20 forecasts are also maintained. The only changes are an increase in interest costs, from marginally more debt and higher interest rate, and a higher tax rate than previously forecast. This reduces EPS by c.4% in FY19 and FY20. It should be stressed that forecasts do not assume a material benefit from price increases. Another year of good underlying performance in the core businesses, stabilising input cost pressures and price rises would make current FY19 forecasts very achievable. Click EPWN for the full archive.